Besides a few tracks on the bowls near the cable car, the terrain on Mt. Apharwat at 4’200 m was still virgin soil in 2006. On one hand, it was paradise and, on the other hand, it was quite challenging; steep terrain exposed to the north, regular heavy snowfall, no avalanche and rescue service, no known routes, etc. Now 10 years later a few routes have been established along the 18 km long mountain ridge, a more or less competent avalanche forecasting service has been created to look after terrain near the cable car and a good dozen local guides know where to ski on the mountain. Those who undertake a ski trip to Gulmarg now are no longer entering virgin soil, however, they can still look forward to an exceptional backcountry skiing experience which cannot be made elsewhere on this planet. Skiing over wide open and untouched powder snow fields is an exceptional experience, skiing in steep forests and between huge pine trees is at least as exciting. In my opinion, the forests in Gulmarg offer some of the best tree runs in the world. A special experience is a return to the village by jeep. The vehicles are barely equipped to drive in winters and the roads are often poorly cleared, especially after the snowfall. Visitors of Gulmarg should not expect to find a transport infrastructure with several cable cars and numbers of ski lifts. For good skiers there are only 3 options available, the cable car from Gulmarg at 2’650 m to Mt. Apharwat on 4’000 m, the chairlift from the mid station at 3’050 m to Mary’s Shoulder at 3’500 m and jeeps for tree runs. There are also no groomed slopes, there is, however, a small groomed track from the mid station to the village which is mostly used by beginners and local skiers. Despite the limited offer of lifts the ticket and ski pass prices have been increased by 70% to 100% over the past few years. At present day passes cost between 30 and 50 Euro depending on the chosen option. Gulmarg has remained primarily a tourist destination for summer vacationers. During the summer, visitors remain in Gulmarg just for one or two days. However, most hotels and all other accommodation options are sold out during the period from mid-March to mid-October. During the summer, guests are willing to accept the elementary lodging options and are prepared to pay the high room rates. Summer guests also accept to wear winter clothes to keep warm inside the unheated hotels and are happy if they have electric blankets in their beds to cope with the cold nights, and hope that power failures don’t occur or remain short. During winters, however, guests stay for a week or longer and the temperatures are below freezing level, especially during nights. Foreign guests, therefore, expect heated rooms, hot water to take showers and similar comfort levels as they would find in modern winter sports resorts at home, not for a limited time but 24 hours a day. 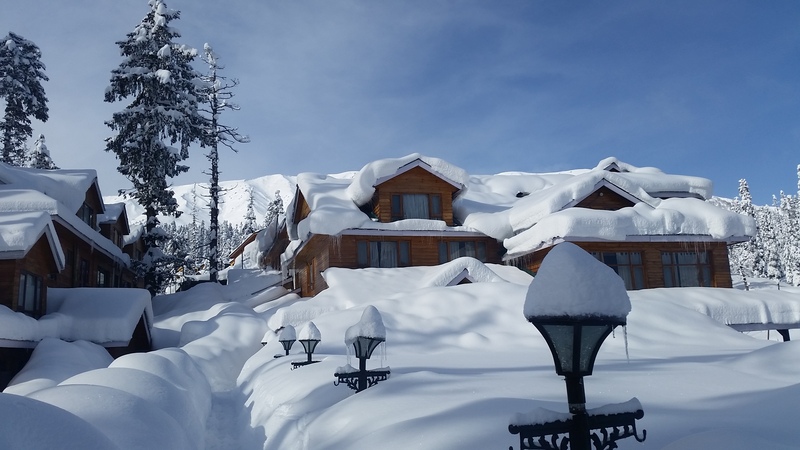 Even after 10 years of welcoming guests during the winter not a single hotel in Gulmarg is offering adequate comfort levels. Our partner hotel “The FSH Lodge” and two other lodging companies have improved their service offering to a level which meets minimum comfort expectations of winter tourists, these hotels have also changed their approach in dealing with foreign guests. Together these 3 hotels offer roughly 150 rooms which guarantee an acceptable comfort level. The remaining hotels, huts and other lodging infrastructures have a long and expensive journey ahead till they reach the comfort level foreign winter guests are expecting. The only change all lodging enterprises have in common is price increases, over the past 10 years costs for hotel rooms have increased between 80% and 140%. Despite the limited comfort offering prices in winter suitable hotels are at present between CHF 150 to CHF 300 per room and night. 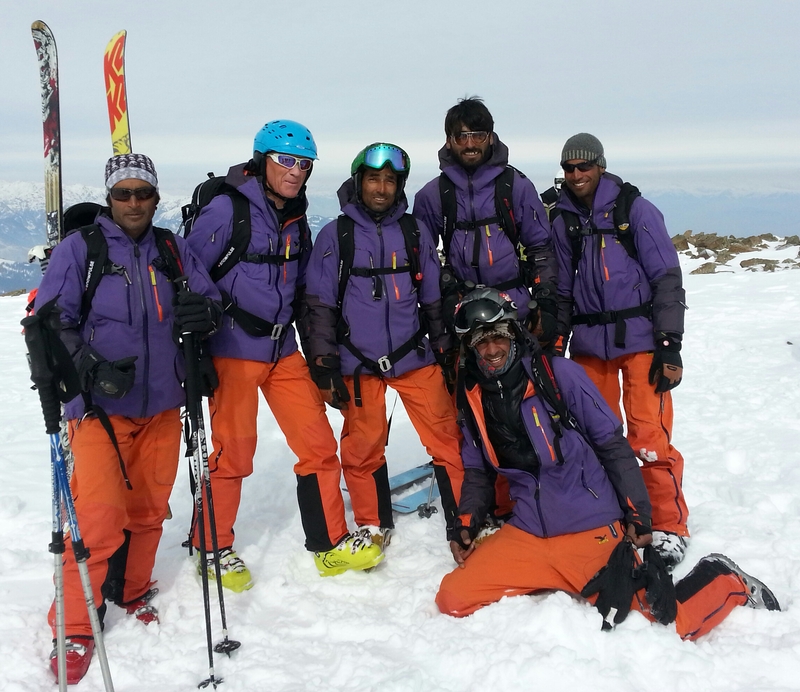 With the increase of foreign skiers in Gulmarg the number of local “ski guides” has also risen. Unfortunately more than 90% of these “guides” don’t have the required skiing skills to keep up with the foreign guests nor do they possess the necessary knowledge to assess avalanche dangers or to find safe routes in the terrain. In addition, most of the 20 sufficiently trained local guides work for foreign operators. This situation will remain unchanged for the foreseeable future, on the one hand because the local guides consider the expected skills as unnecessary for doing their job and on the other hand due to the lack of adequate training opportunities. Safety conscious guests who would like to fully explore the terrain options in Gulmarg are still best served when they book their stay in the Himalayas with a foreign operator. During my 10 winter seasons in Gulmarg I have worked with a few selected guides, in the meantime I have my own small team of well-trained local guides and reliable jeep drivers. Safety in Kashmir – Exaggeration or Concern? Most foreign offices still include Kashmir in their list of risk zones. I have been running backcountry skiing programs in Gulmarg since 2006 and consequently am regularly confronted with inquiries on travelers’ safety in this Indian state on the border with Pakistan. In my blogs, I have regularly written about travelers’ safety in Kashmir and shared my danger assessments. In my opinion, there never have been or exist today serious reasons not to visit this part of the world. 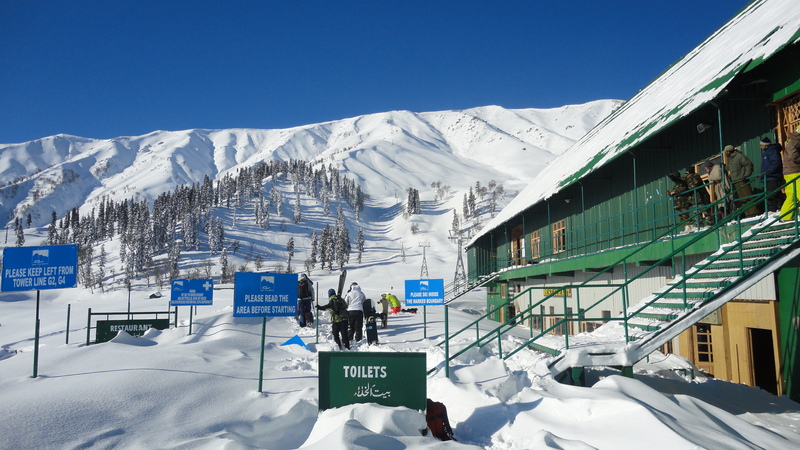 There is no exact information available on the number of skiers visiting Gulmarg each winter. Based on my impressions the guest mix covers all age groups and all nationalities, however, female visitors are a minority. 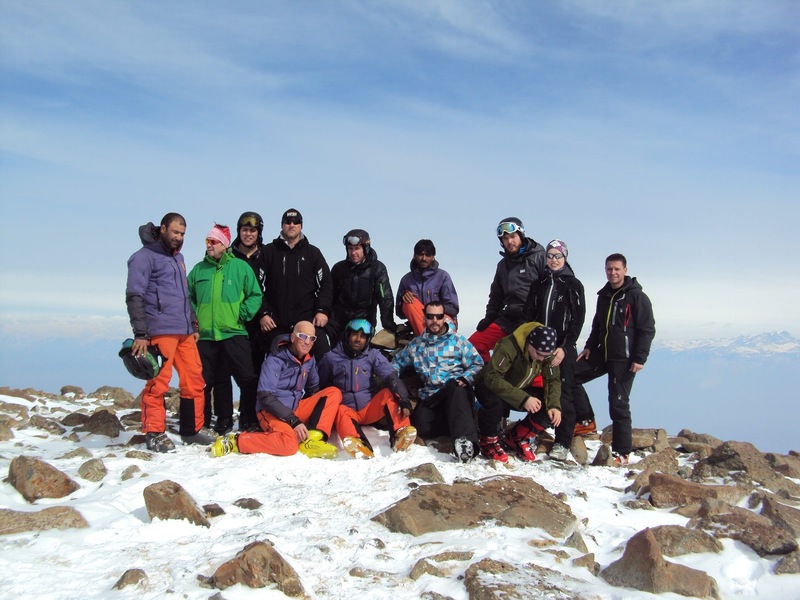 The largest group in the past years came from Russia, a considerable number of visitors were young adventure skiers from Anglo-Saxon countries and, of course, guests of international program operators. During the peak season (2nd and 3rd week of February), there are normally 400 skiers per week on the mountain, in the off peak season only 50 to 200 skiers per week are visiting Gulmarg. The period with sufficient snow for skiing begins in mid-January and ends mid-March. Since 2006, more than 1’000 skiers from all over the world participated in our programs in Gulmarg. Our guests are mainly from Germany, France and Austria. We welcome regularly also bigger groups from the UK, Switzerland and other parts of the world. The participants in our groups are mostly male and between 35 and 50 years old. All participants are good or excellent skiers. Making exact predictions on how the global ski market and the situation in Gulmarg will develop in the years to come is nearly impossible. With regard to foreign ski tourists, a lot depends on the economy in their home countries. 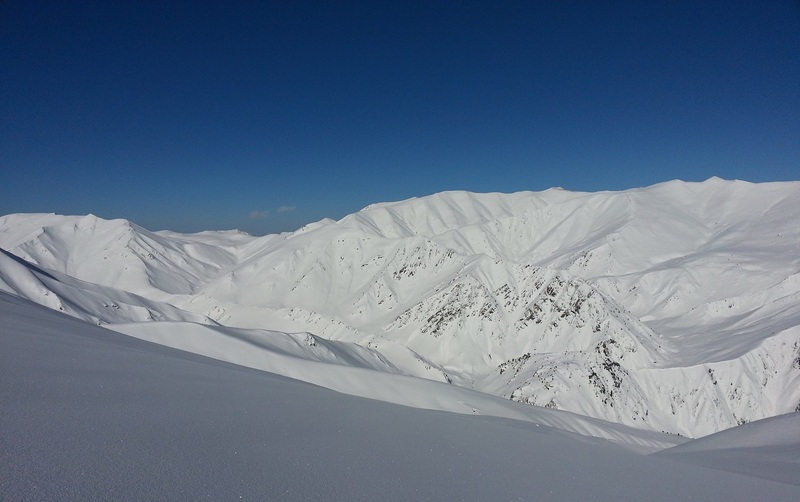 Another important element that influences travel plans of skiers is the security situation, primarily in Muslim countries but also in the rest of the world. Provided everything goes on as in the past Gulmarg will remain a niche destination in the international ski market and will primarily be visited by backcountry skiers who are looking for “soft adventures” and who are prepared to live in simple quarters during their vacation. There is a certain growth potential from the domestic market, however, Gulmarg has no real terrain options which would allow the creation of groomed slopes for beginners and intermediate skiers. Much can change and influence vacation plans of international travelers, for example, the security situation in Kashmir, illnesses in the region, earthquakes, etc. and therefore only short term planning is possible. At the end of this blog I would like to confirm that I will definitely return to Gulmarg for the ski season 2016. Me and my team look forward to taking our guests to the mountain again and to show them the best powder runs in the Himalayas.